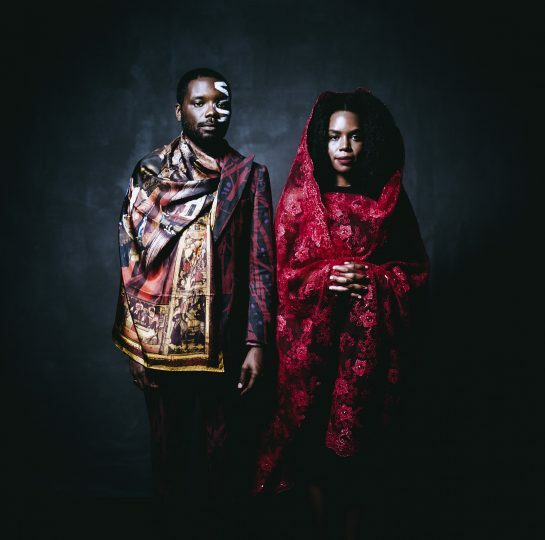 James Jean and Patrice Worthy, photographed in New York City, United States, 2016, wearing original designs from the fashion line Ikiré Jones by Walé Oyéjidé. Image credit Rog Walker for Ikiré Jones ©. The artist Alfredo Jaar has said that “we are the sum of all the stimuli we receive,” and certainly images, whether in the form of illustrations, videos or photographs, make up an influential portion of that stimuli. In a world plagued by mass shootings, hate crimes, and the stubborn persistence of a range of discriminatory -isms, perception of social difference is critical for determining the relationships we have with each other. Another Way Home, on view at Open Society Foundations in New York contemplates the impacts of images in our lives. The exhibition is part of the Moving Walls series, an initiative of the Open Society Documentary Photography Project, which has been sharing socially-relevant documentary practice for 20 years. As the 25th iteration of Moving Walls, Another Way Home takes on the issue of migration by featuring eight projects created by 13 artists from around the world. The exhibition, co-curated by Yukiko Yamagata and Siobhan Riordan, can be viewed online or anyone in New York can view it onsite until July 2019 at Open Society Foundations’ New York offices. From the series The Right to Grow Old. 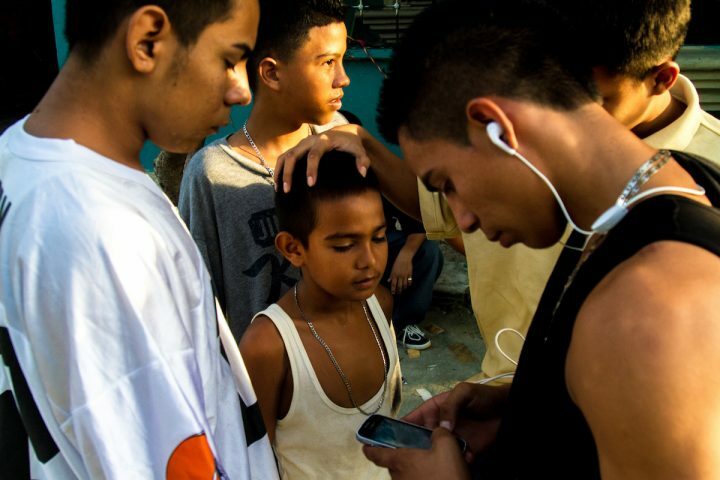 “First as lookouts and later into full-fledged gang members, neighborhood children are groomed young by their brothers, cousins, and neighbors. The slow process of recruitment is only viable as communities have little in the way of alternatives for abandoned youths with nothing to lose.” – Tomas Ayuso, San Pedro Sula, Honduras. Image credit Tomas Ayuso © 2017. Working through the mediums of video, mural, newspaper and various modes of photography, each of the bodies of work offers nuanced interpretations of how migration effects families, communities and individuals—those who travel and those who stay behind. Whether through fashion photography representing African migrants as regal or virtual reality film deployed as a means to reunite families, the artists in Another Way Home bring to the fore a kaleidoscopic array of perspectives that, in the past, have existed outside the frame of images recording migrants and migration. Indeed, one of the central elements of the Moving Walls selection process is demonstration of immersive connection with people and places featured in the works. Through those strong relationships, the nerve channels that link people to ideas of home are experienced and documented intimately by the artists. One critical manner in which the question of power has been incorporated relates to how language is presented. In both the exhibition space and in the accompanying catalog, the languages of the people featured in each project—in this case Spanish and Arabic—are privileged over English as primary languages. English translations of project descriptions are available, though in situ you must actually lift the sheet of paper containing the primary language to see English text revealed beneath. In the catalog, the primary languages are encountered first and the book must be turned upside down on the following pages for English to be read. These physical interventions can be seen as ephemeral simulations of migratory experience and they act as reorientations of language hierarchy. From the series Welcome to Intipucá City. Claudia Rivera, 40 years old, is a doctor. Her family immigrated to the United States in 1983 when she was seven years old to escape the civil war. After living for many years in the United States, she decided to return to El Salvador. 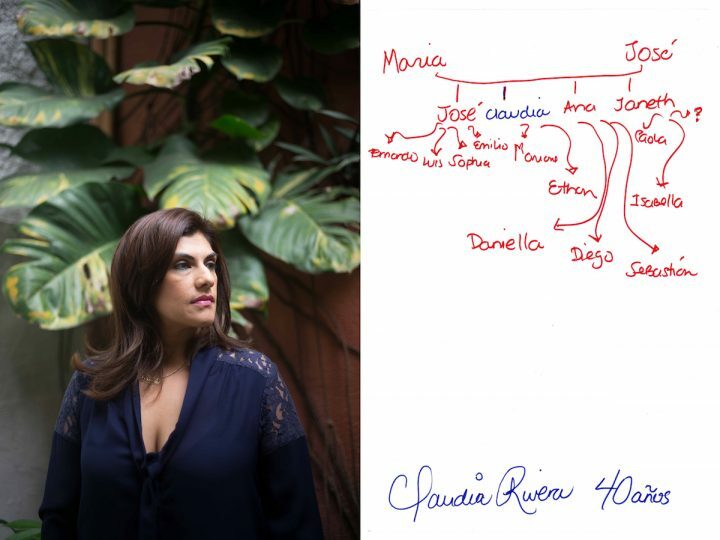 Claudia’s hand drawn family tree includes family members’ names written in red for those living in the United States and in blue for those living in El Salvador. As the drawing indicates, Claudia is the only member of her family still living in El Salvador. San Salvador, El Salvador, September 2017. We live in contexts where audiences read less and less and opt for viral and content-poor publications. Images are powerful elements that allow us to approach that audience saturated with content and bring them closer to the protagonists. With images that depict current issues in an in-depth manner we can develop empathy and understanding. Sometimes images become clarion calls and trigger social movements into action. Images that tell stories are crucial not only in societies, but at the local level and down to the individual. 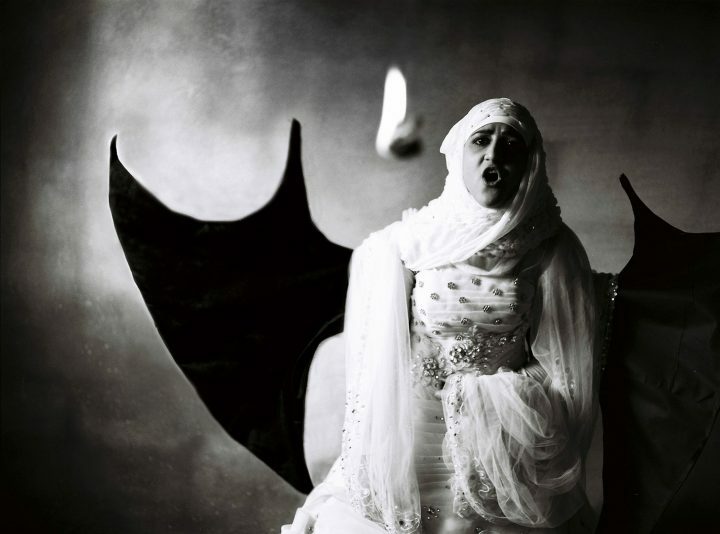 From the series Live, Love, Refugee. “I wish to become a dragon and burn the scarves and everything in that tent.” – Kawthar, 16 years old, Lebanon. Kawthar was beaten and raped on her wedding night after being married to a 32-year-old Syrian man from a nearby refugee camp. Image credit Omar Imam ©. Though it exists permanently online, the exhibition itself could benefit from a few more public showings and events that would challenge new audiences to confront the works. Moving Walls does however go beyond a static show as the artists behind each of the projects are also given a Fellowship grant to continue their existing project or develop a new body of work. This aspect of Moving Walls is particularly powerful as it circulates their work outside the limitations of the gallery space, resourcing the artists to enhance the impact of their social practice, engaging further with their respective communities through their own public programming, book production, additional research and immersive content creation. Through its adroitly designed display of documentary projects—which are accompanied by detailed information and captions, often with reflections from those appearing in images—the Another Way Home exhibition is effective in challenging the dominant regimes of knowledge that disparage migrants and migration. The projects in the show work to collapse distance and deepen the awareness viewers have of people in different migration contexts. Indeed, it is not images themselves which brand people as immigrants or refugees, rather, that work is performed by ideological discourse deployed for political means. Depending on what preconceptions about migration issues viewers bring to the exhibition, the depth and care infused into the works can operate in different registers for conveying representation, critical (un)learning, and expanding and reshaping the internal image indexes that guide how we interpret the world around us. In this way, Another Way Home represents a model contemporary media initiative, as it transcends the exhibition walls by encouraging us to reflect on how the images we encounter affect us, how we see each other and ultimately, how we may live together.